Jeffrey M. Zitron (“Jeff”) is a native of Memphis, Tennessee, where he graduated from Christian Brothers High School. Growing up in Memphis, Jeff worked summers for a family business, a chain of clothing stores, and later held summer jobs as a probation officer and clerk in the General Sessions Court processing garnishments. 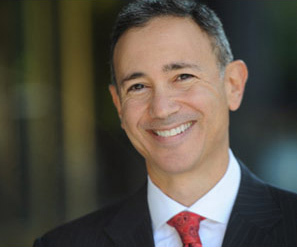 Jeff is a 1986 graduate of Emory University School of Law and received his undergraduate degrees in Finance from the Wharton School of Business, and in Economics from the College of Arts and Sciences at the University of Pennsylvania. Jeff is a partner in the law firm of Hendrick, Rascoe, Zitron & Long, LLC, and has practiced law in the greater Atlanta area for more than 28 years since graduating from Emory University School of Law. He draws on his diverse experiences to assist closely held businesses, business owners and affluent families in a variety of legal areas. Jeff’s practice focuses on estate planning for high net worth individuals, business owners and families. He provides comprehensive estate planning services and has an extensive will, trust and probate practice. He specializes in finding practical legal solutions for intra-generational wealth transfers, asset protection, business succession planning and estate, gift and generation skipping tax planning. Jeff represents individuals on the planning side, as well as Executors and Trustees in connection with the administration of estates and trusts. Jeff frequently serves as advisor to family law attorneys and is experienced in estate planning for blended families. Among his many professional accomplishments, Jeff is AV Preeminent peer review rated, the highest attainable rating through Martindale-Hubbell. 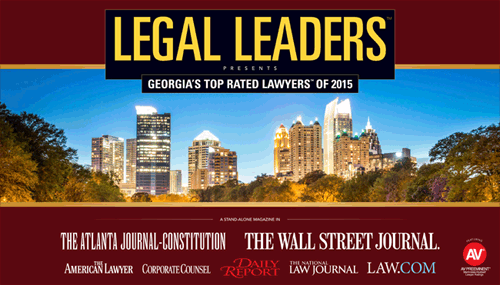 He is a multi-year recipient of the “Super Lawyers” award for Estate Planning & Probate Attorneys and Georgia Trend magazine's "Legal Elite" award in the areas of Taxes, Estates and Trusts. Jeff lives in Sandy Springs with his wife, Nicole K. Zitron, with whom he has three children, Barak, Isabella and Juliana, and two Bouvier de Flandres, Stella and Mac. He loves ethnic food of all varieties, and when not at work, can often be found trail running at the Chattahoochee River, working out with his “BAM” friends or at home listening to music or watching movies with whoever will join him. Allstate, “Life Insurance in the Estate Plan: Myths, Mistakes, Mysteries and Methods,” June 2, 2004. The Community Foundation of Northeast Georgia, “Covering your Assets: The Rules and Tools of Asset Protection Planning in Georgia,” February 26, 2004. National Business Institute, “How To Draft Wills And Trusts In Georgia,” presenting “Basic Tax Considerations - What You Need to Know in Order to Choose the Appropriate Plan, Ethics and Estate Planning and Health Care Planning as Part of the Estate Plan," December 9, 2003. National Business Institute, “How to Protect Assets During Life and Avoid Estate Tax at Death in Georgia,” presenting “The Use of Family Limited Partnerships in Estate Planning” and “Basics of the Transfer (Estate or Gift) Tax,” August 25, 2003. Homrich & Berg, Inc., “Rules and Tools of Asset Protection in Georgia,” July 31, 2003. UBS Paine Webber, “The Importance of IRA Beneficiary Designations,” July 1, 2003. Atlanta Bar Association, Estate Planning and Probate Section, “Engagement Letters: Burning Issues & Sample Forms for Estate and Trust Attorneys,” June 11, 2003. National Business Institute, “How To Draft Wills And Trusts In Georgia,” presenting “Basic Tax Considerations - What You Need to Know in Order to Choose the Appropriate Plan,” “Ethics and Estate Planning” and AHealth Care Planning as Part of the Estate Plan,” December 19, 2002.